Roll up sun seekers! The Windward Islands boast high temperatures all year around and bewitching scenery — little wonder then that they are among the most desirable of the tropical Caribbean island paradises. 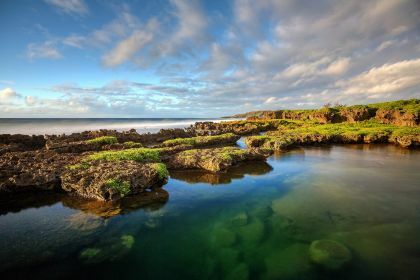 In Dominica, you can go on a stimulating hike to the Boiling Lake and enjoy some superb snorkelling at the Champagne Beach. In St Lucia, dine at an old plantation house-turned restaurant or opt for an adrenaline-laden zip-lining adventure. In Martinique, you’ll walk on 22 different kinds of sand on the many islands’ sumptuous beaches. Saint Vincent and the Grenadines offer a fascinating turtle sanctuary, and superb dining, including mouth-watering calaloo soup with freshly caught crab and tantalising lobsters. In Grenada, imposing waterfalls and beguiling underwater sculptures will dazzle you. And then of course, there is vibrant Barbados. Your luxury yacht has taken you to the Windward Islands! 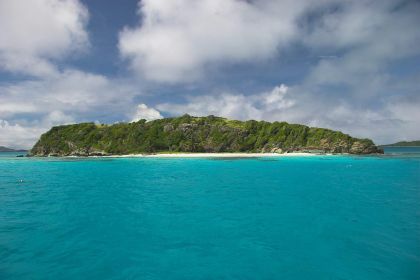 If you plan to pack in as many sights and sounds as possible on your yachting break, then the Windwards are a great option. From Bequia, the second-largest island of the Grenadines, you can comfortably cruise at 8 knots to St Lucia in under than seven hours. In less than eight hours of sailing, you are in Grenada. In half a day at most, you reach Barbados. This opens up numerous exciting options for an unforgettable yachting vacation. Of course, you many not want to rush – and the Windwards appeal with their laid-back, easy charm. Just the thing to force you to kick back and relax and spend quality time in a myriad gorgeous locations. Savour the local food, explore underwater treasures and lap up this tropical paradise. For a taste of gourmet Caribbean, don’t miss Martha’s Tables in Sourfriere, St Lucia. It lays on beyond-delectable authentic creole dishes. And once you reach the alluring island of St Vincent, you may want to visit the trendy Flow Wine Bar, in the heart of Kingstown, to uncover local gastronomic delights. Their ribs, steaks and seafood are legendary, as is their sinful sweets menu. Talking of legendary food, The Champs Restaurant, in Portsmouth, Dominica, is famed for its delectable wood-fired Italian-style pizzas, mouth-watering filet mignon and ribs, and sumptuous shrimp and mahi-mahi. The dishes are made from freshest local ingredients available. If you tastes lean towards the adrenaline-inducing, blood pumping, seat-of-your-pants adventure, then get yourself to St Lucia. How about flying over a lush rainforest on 12 zip lines (also known as “death slides”)? If this doesn’t quite boost your adrenaline, then there’s always kite-surfing. You’ll be in safe hands with the team at Aquaholics Kitesurfing St Lucia in Cas En Bas, north of the island. They’ll make sure you’re safe and sound, and also that you are up and riding. The best part is anyone — from age 10 to 80 — can tackle this fun-filled sport. If your yacht finds herself in Grenada, get to the Seven Sisters Waterfalls. The hike to the falls is moderate, the route well maintained, and there is plenty of scenic beauty en route. Leap into the falls at journey’s end – it’s a fitting reward. In Martinique, you will overawed by the marvellous offerings: gushing waterfalls, majestic sea turtles, elegant dolphins, dive sites with underwater treasures, kayaking tours, a spectacular botanical garden — and even a zoo! 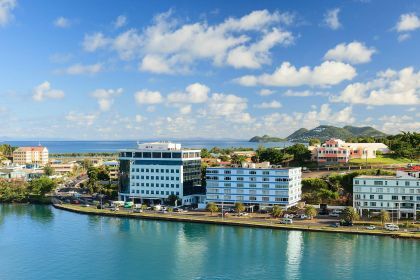 Martinique offers an intriguing blend of Caribbean, American and French cultures. If you want to take a piece of this exotic flavour home with you, visit the local Pottery Centre where you can buy stunning bespoke ceramics or a bottle of the Parfum Des Iles, where you can actively participate in making a custom perfume. An ideal yachting itinerary in the Caribbean starts in Antigua-Montserrat and takes in La Moule (Guadeloupe), Basse Terre (Guadeloupe), Dominica, Martinique, St Lucia, St Vincent, and Barbados. Each of these exotic destinations — with their varied charms and offerings — is sure to immerse you in the sites, sounds, flavours and smells of the Caribbean. Unsure what type of yacht you need for a yachting holiday in the Caribbean? Your friendly Abberley charter broker can help you find the best yacht for your needs. Just give us a call or fill out a charter enquiry form, and we’ll help you make this dream holiday a reality.